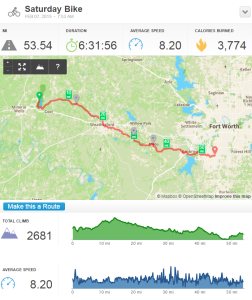 Since taking off 3-4 days with all the vacation I’m burning on the CO2TX trip in April, I did another overnight trip from Fort Worth to Mineral Wells State Park. 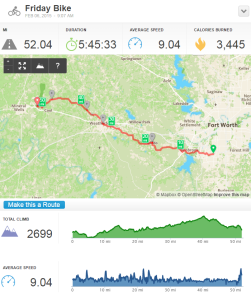 From my “lessons learned” from the past trip I was able to reduce my load by over 10 lbs. 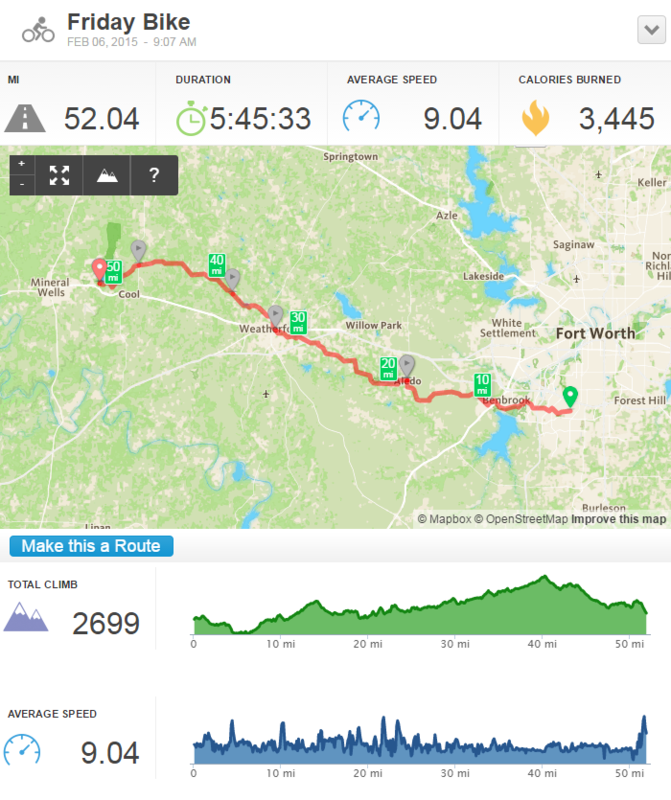 At least 5 off my bike and 5 off my body with hopes of reducing it more. Weights were: L Front: 10.6, R Front: 10.0, L Rear: 9.2, R Rear: 92., and Handlebar Bag: 4.6 for a total of 43.6 lbs compared to 51 lbs the previous trip. Each trip I’m closer to carrying all the gear that intended for the CO2TX trip. 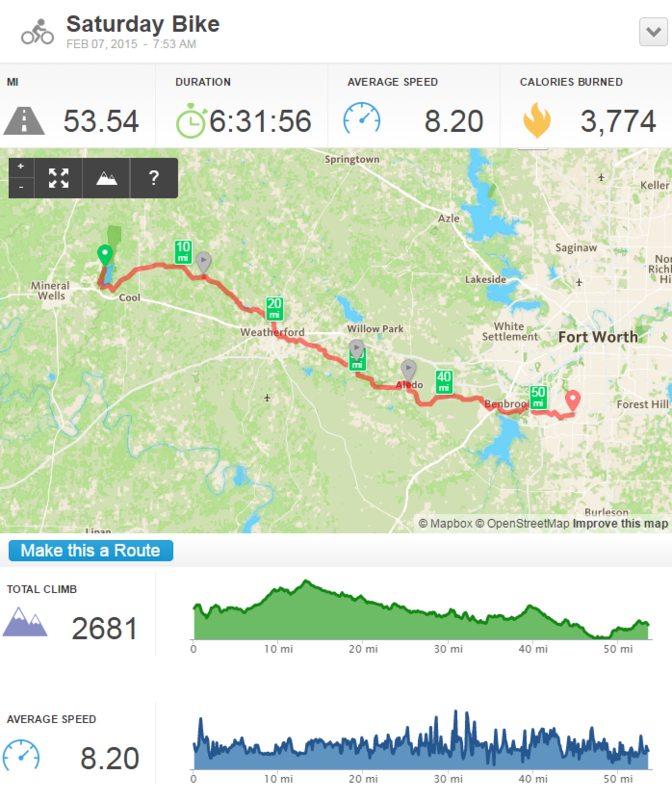 This trip went MUCH better and I was able to shave a full hour of time for the 52+ mile trip. Another beautiful night of full stars! The park offered a talk on the constellations but I was tired and in my sleeping bag before 9. Cool, crisp morning chill in the air as I awoke but exhilarating! Had breakfast, took down camp and headed home. Quick note about my alcohol stove and cooking. The homemade penny stove worked great. Helpful hint is that if you have hot water available (shower) start with the already hot water to reduce boiling time. Ride home took and additional hour than the day before but I did stop several time just to rest and enjoy the day. One stop that I particularly enjoyed was in front of an old church with a pecan tree in front. Just sat there enjoying the day eating pecans !